GTB’s Transformational Data Protection & DLP Technology Solutions will be on Display during the RSA Conference in San Francisco. 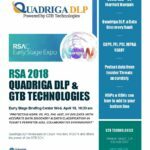 Join GTB Technologies, the Leader in DLP & Data Protection, during this years’ RSA Conference, San Francisco at booth ESE - 30, “Quadriga DLP powered by GTB Technologies”; in the Marriot Marquis / Moscone Center. GTB will be demonstrating Quadriga DLP’s CyberVisionTM a SaaS platform designed for small businesses. Quadriga DLP also showcases GTB’s transformational technology to Cloud and Content Delivery Providers, Insider Threat management and Endpoint Detection and Response (EDR) providers, Endpoint Protection Platforms (EPPs), MSPs and others. 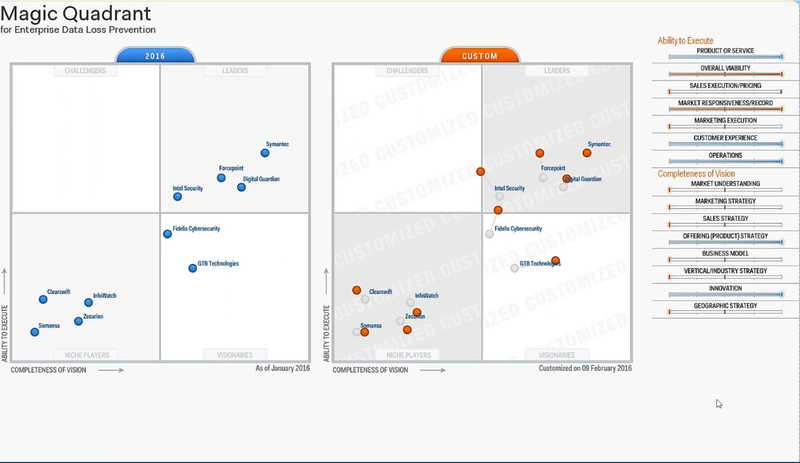 During the conference, GTB Technologies security experts will show attendees how the GTB DLP that Works Platform provides organizations of all sizes with end-to-end DLP, Discovery & Classification, including "accurate" Insider Threat Protection against malicious insider or malware-based data exfiltration. Other benefits include End User education, analytics, and response capabilities all from a single security multi-threaded management and operations platform. Many service providers are now looking to extend their offerings to include data protection. Many cyber-security solution providers need to accurately detect data. Regulatory compliance requires companies and providers to secure data especially personal identifiable information (PII). Thus, the need for a data detection engine that will scan data accurately and report the presence of sensitive content inside files or streams. GTB’s SDK is the only solution which yields a virtual zero percent false positive rate when using its fingerprinting engine. This accurate detection will be required to comply with the new EU GDPR Right to Erasure (Article 17). Stop by our booth to see the power of the GTB SDK. Session Abstract: With increased connectivity and cloud service use come an increased risk to data and privacy breaches. All of this has stirred an influx of regulations, including the European Union’s General Data Protection Regulation (GDPR) which will affect most US-based organizations. The current trend in Global IT regulation is demanding something new from companies. While the New York State Department of Financial Services is the most stringent US state regulation to pass so far, it’s most likely just the beginning for the US. How are you ensuring your organization is equipped to meet these increasing regulations, while preparing for those still to come? Join us for this session to learn how. For over 13 years, GTB Technologies, the creator of DLP for IP, has provided the data protection solution that accurately prevents sensitive data loss / data ex-filtration from within the network, at the endpoint, in the cloud or anywhere else; either agent or agent-less, in files or data streams. At the core of GTB’s unprecedented sensitive data detection capability is its transformational, intelligent data recognition platform that couples the power of proprietary intelligent processes with mathematical science. GTB’s DLP that Works platform is delivered on-premises or off, as a managed service, self-service or a hybrid.